Happy news for Superstar Rajinikanth fans. Officially announced Rajinikanth's Next movie. For Superstar fan's not yet received from Kabali fever till. 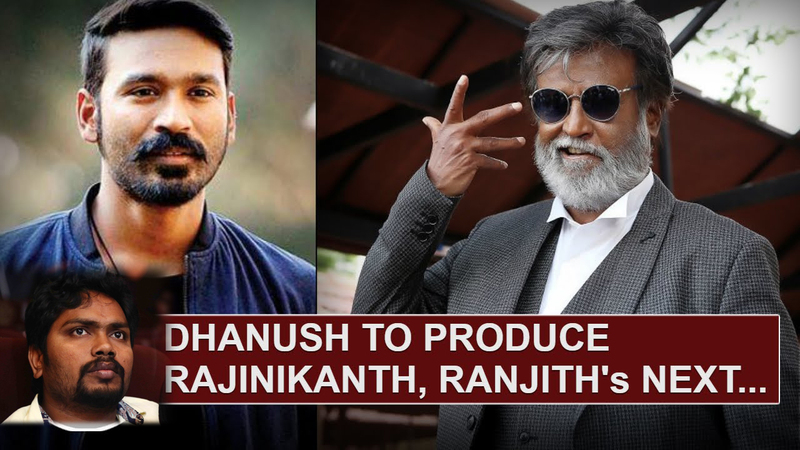 Dhanush officially announced on his social media like he's going to produce Rajini in his own banner Wunderbar Films. Dhanush - Rajini Combo movie name not yet decided, Movie kick start and expect to release after 2.0 likely 2017. Pa Ranjit going to direct once again Rajini movie likely Kabali 2, Also we all know very well Rajini's son in law Dhanush, previously he produced movies like Ethir Neechal, Velayilla Pattathari, Kaaka Muttai, among others. All previous movies all are top box office collection movies. The Recent release of Rajini's Kabali record breaks in all the categories like teaser, theater release, promotions, collections and more. kalaipuli S.Thanu produced kabali movie and movie directed by Pa Ranjith. Superstar Rajini Kanth currently doing mega budget movie 2.o, Bollywood star Akshay Kumar also leading role in this movie. "2.o", the sequel to "Endhiran" is likely to be released only in 2017. Write & Share about " Offcial Dhanush - Superstar Rajini's Combo movie | Tamil Movie News | Cinema Profile" !